A large contingent of family members of our Rotarians joined in the several activities which included a visit by Harold the Giraffe from Life Education Trust. And then, what all small, and not so small, children wait for, Father Christmas arrived with sacks full of goodies and a cast of helpful elves. Some people wondered whether the children would understand his accent from the other side of the world but I could see no problems at all as each child happily received their gift. After the fun and games we all sat down for dinner and President Donna welcomed everyone and thanked Allan and Barbara Nicholls for organising the evening. She gave a big thanks to Harold the Giraffe, Nigel Kennedy the magician and rabbit and, of course, Santa and his elves. Donna reminded us that Porirua Club and Zonta have requested our help with Christmas wrapping at North City Plaza, especially during working hours. Anyone who can help, please contact her. Next week is our AGM. The RI resolutions are in. Our dancing Exchange Student to Chile, Annie Grenfell, will deliver her speech prior to the AGM. Our Club will begin the New Year with a smorgasbord at Ruby's courtyard, next to Tommy's, on 22 January. Our family, friends and food. Rhonda Walmsley has asked President Donna to pass on her thanks for all the cards, emails and texts from members. Nick had his operation on 5 December and Rhonda says that his discharge from hospital is imminent. He has worked hard on beating all the milestones that the Plastics team have for people who undergo the same procedure and he is now up and about. We all send our deep condolences to Sue Adams on the death of her husband, Murray, after a long illness. His funeral will be held on Thursday at 2.00 pm at The Hope Centre, 8 Downer Street, Lower Hutt. There were far too many visitors to name. 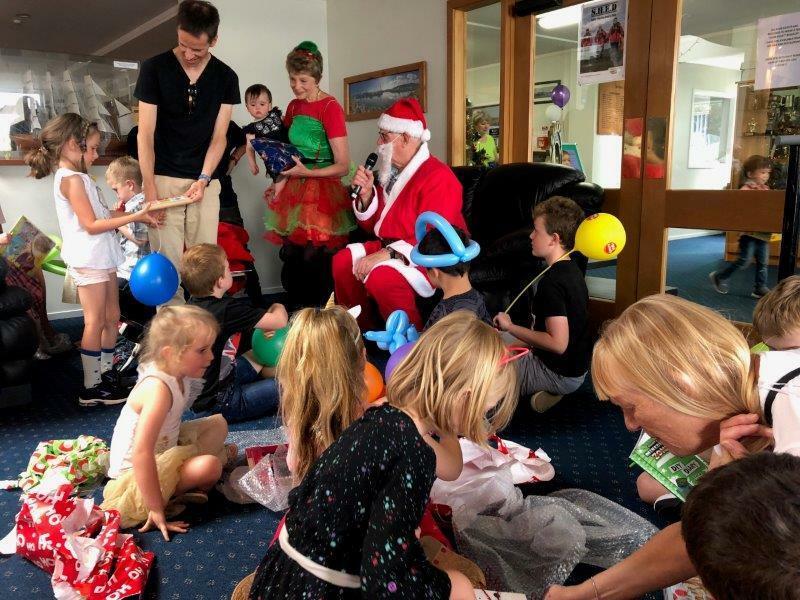 Suffice it to say - many of our children and grandchildren enjoyed a happy, festive time at our annual party for the young ones, particularly when it came time for the giving and receiving of gifts. Graham Craig's wonderful photos from the Kids Christmas party are now in the Gallery and you can find them here. If you click on the 'here' in the short text below the heading, you will go to the story that Terrie wrote after the event. If you click on the heading - 'Fun with BJ Bear - November 2018' you will go straight to the photos. In either case, you can return to the Gallery page by clicking on the back arrow at the top of your full screen. If you do exactly the same thing with the heading above this one, 'Children Excel again - November 2018', you'll find Graham's photos from the Parumoana Speech Competition this year. 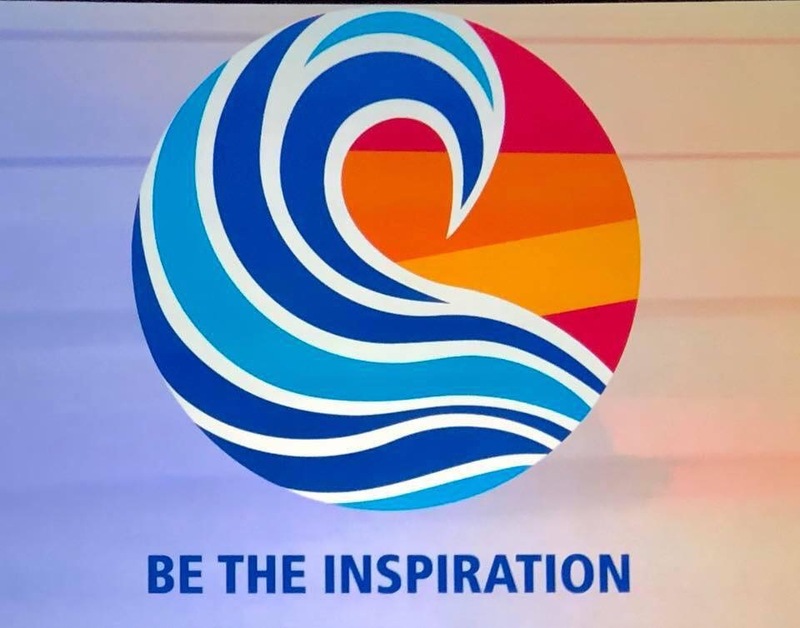 Why give the gift of Rotary? You might like to read this short offering from The Rotary Foundation. December is Rotary Disease Prevention and Treatment month. Here is the December District Bulletin in case you didn't receive your copy direct. It's a very big one this month, jam-packed with District information. If you 'Keep Reading' at the end of DG Marion's Message, you'll see that she's included a photo of our cluster Presidents with her and AG Adrienne on the day of her visit on the bridge over the Kakaho Stream on Te Ara Piko. Plimmerton Inner Wheel has published their December newsletter. Check out Michael Moore's painting on Trade Me and help us to raise funds for KaraHands. And, here's some interesting (and very relevant to us) information from Te Awarua-o-Porirua Whaitua Committee that I've posted on the Our Porirua site - 'from hills to sea – a community thinks about freshwater'. What’s coming up in December and beyond? Next week, 18 December, it's the AGM and we'll be hearing from Annie Grenfell. Everyone is cordially invited to a Pizza and Plonk evening with Plimmerton Inner Wheel on 21 January 2019 to celebrate the beginning of their year. The first meeting of the New Year is on Tuesday 22 January 2019 when there will be a casual evening with a smorgasbord at Ruby's on Mana Esplanade. And, if you go to the Events page, you'll notice that our wonderful speaker seeker, Keith Harrison, has been busy. You'll be able to find information about events that are coming up between now and the end of February 2019. This was by President Donna who simply said "Happy Christmas". Original generation time 2.2212 seconds.